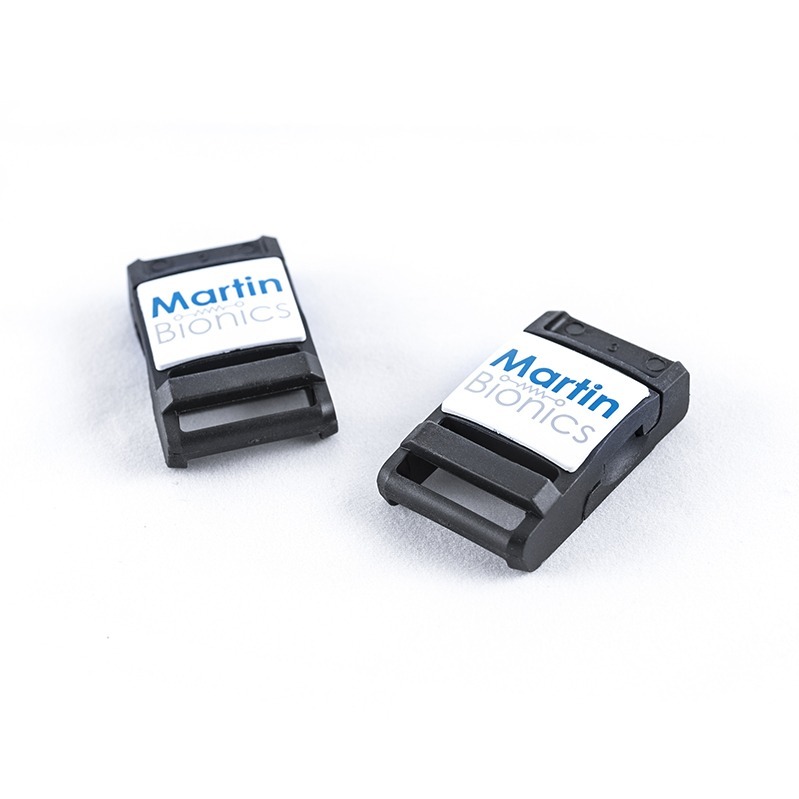 Our magnetic buckles are designed for simple one-handed operation, to benefit upper extremity fittings. Will fit ¾” webbing. They come in a set of 2.